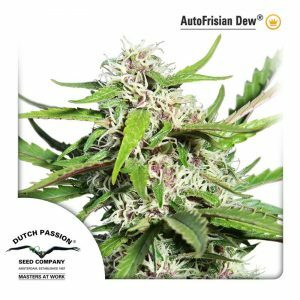 Auto Blueberry Banana is the result of our outstanding Auto Banana Kush and an original Blueberry from Colorado that was selected due to its extremely fruity flavor and exceptional potency. 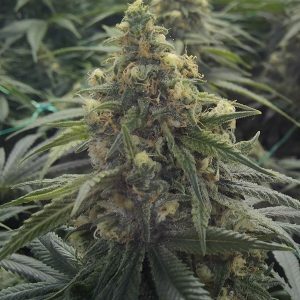 This autoflowering variety is very easy to grow and produces a high quality weed with heavy hitting indica effects and a amazing intens fruity flavor. The Auto Blueberry Banana combines the fruity banana flavor with the sweet sour berry aroma of the Blueberry and offers an unforgettable taste experience. It has the strongest indica effects of all automatics we could find so far. This automatic indica dominant strain produces a full body high and is the perfect choice to relax in the evening or chill in the sun. It grows vigorously with a strong main flower and many side branches. Many plants will show colourful purple and red or nearly black leaves and buds at the end of the flowering time. The cured buds are wonderful sticky and compact. Auto Blueberry Banana reaches around 70-90 cm and can be harvested 10 weeks after the germination when cultivated on a 20/4 light-cycle. Auto Blueberry Banana is used for nausea and anorexia and also for stress and anxiety relief.